Definition of High and Low Blood Sugar Levels in the Body. In medicine, sugar or glucose in the blood is called the blood sugar. Normal blood sugar levels in the body are very important for the performance and health of the human body. But different story if levels are too high or low. Blood levels that are too high or low can have adverse effects both in the short term and long term. If it exceeds 200 mg / dL, your blood sugar level is said to be too high. In medical science, too high blood sugar levels are called hyperglycemia. This condition occurs when the body does not have enough insulin or due to insulin resistance, a hormone released by the pancreas. Insulin works to spread the sugar in the blood to all body cells in order to be processed into energy. Most of these conditions are experienced by diabetics who can not lead a healthy lifestyle, such as eating too much, lack of exercise, or forget to take diabetes or insulin drugs. A normal person who does not have diabetes can also develop hyperglycemia, especially if he is suffering from a severe illness. Signs You have too high blood sugar levels are a tired body, crazy appetite, decreased body weight, often feel thirsty, and frequent urination. If your blood sugar level exceeds 350 mg/dL, symptoms that you will feel like anxiety, decreased awareness, deep thirst, unclear vision, and dizziness. Changes in skin conditions can also be seen, such as reddening, drying, and feeling hot. 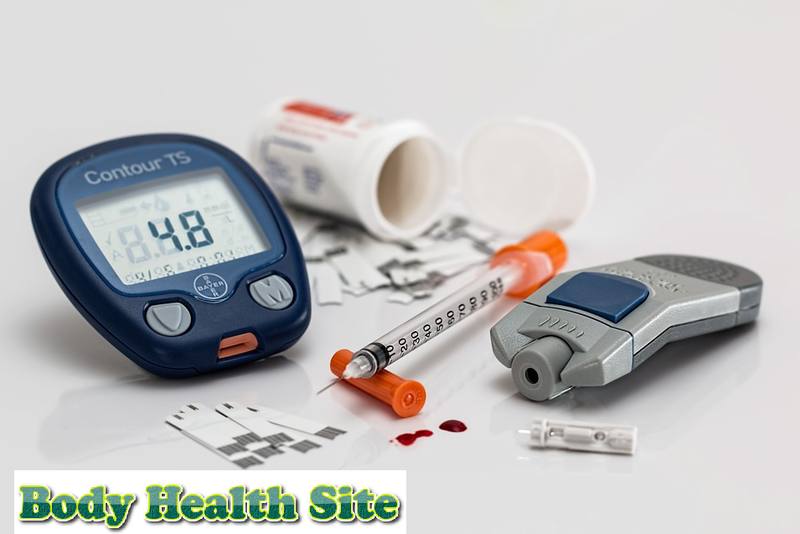 In addition to suffering these things, blood sugar levels are too high, especially those who never get treatment can also cause serious harm such as diabetic ketoacidosis or hyperosmolar diabetes syndrome. In addition, you can also have infections of the teeth and gums, skin problems, osteoporosis, kidney failure, nerve damage, blindness, and cardiovascular disease. If the blood sugar level in your body is below 70 mg / dL. This means that your blood sugar is low or hypoglycemia. This condition is also common in diabetics. Side effects of drugs used to treat diabetes can lower blood sugar levels in excess. Insulin in diabetics generally does not work well. Therefore, diabetics are required to consume insulin or drugs that can lower blood sugar levels. Unfortunately, because it is consumed too much, insulin or anti-diabetic drugs can make blood sugar drop dramatically. Hypoglycemia will occur quickly if insulin or anti-diabetic drugs are not accompanied by adequate food intake or not eating at all. Excessive exercise can also trigger this condition. Certain critical diseases occur, such as anorexia nervosa, hepatitis, or rare pancreatic tumors. Take other people's anti-diabetic drugs or drugs such as quinine. Unable to stand or walk. A blood sugar test that requires you to fast. You are required to fast eight hours before blood sampling. This type of test is often used to diagnose prediabetes and diabetes. Oral glucose tolerance test (TTGO). This type of test, you will be given a certain amount of glucose and two hours later, your blood sugar level will be checked what the value is. A1c or glycohemoglobin hemoglobin test. This test is performed to determine blood sugar levels that are in red blood cells. The results of this test can give information about your sugar levels during the last 2-3 months. This test makes it easy for doctors to change one's diabetes medication if needed. Unlike before, you do not need to undergo any special preparation to perform this test. Random blood sugar test. This test can be done anytime. Blood sugar levels may vary depending on the person's diet and when they last consumed the food before the test. Therefore, you do not need to do special preparation before the test is done. Because of its timeless nature, this test is considered very useful because generally, blood sugar levels in healthy people do not differ much throughout the day. If your blood sugar levels rise significantly, there are usually health problems. In addition to doing tests at the hospital, you can also do this test at home using a blood sugar test kit. Consult the doctor what tests are suitable for you to live. Also, ask your doctor about the risks or other matters related to the test. Then How Blood Sugar Level Normal? Normal blood sugar levels are not always the same, depending on when the test you are living and the condition of your body. Consuming alcohol or caffeine can affect your blood sugar levels. The following are normal blood sugar levels. But this is only an estimate because each laboratory must have different standards. If you take a two-hour test after meals, the normal blood sugar level is less than 140 mg / dL or 7.8 mmol / L. This figure applies to people under 50 years of age. Those aged between 50-60 years, normal blood sugar levels are less than 150 mg / dL or 8.3 mmol / L. If you are over 60, the normal blood sugar level is 160 mg / dL or 8.9 mmol / L.
If you take a blood sugar test that requires fasting, then your normal blood sugar levels may be less than or equal to 100 mg / dL or 5.6 mmol / L.
If you do a random blood sugar test, then the results can not be equated. The result depends on when and what you eat before taking the test. But generally normal blood sugar levels are in the numbers 80-120 mg / dL or 4.4-6.6 mmol / L (if doing the test before eating or after waking). If performing a test at bedtime, the normal rate is 100-140 mg / dL or 5.5-7.7 mmol / L.
If you have a hemoglobin test for blood sugar, the normal level is less than or about 7 percent. Make sure you record test dates and results. Note also what you consume or the activities undertaken before undergoing the test. By regularly checking your blood sugar test and living a healthy life, you can avoid the negative effects of high or low blood sugar levels. 0 Response to "Definition of High and Low Blood Sugar Levels in the Body"